We officially started back to school on July 29th. Our plan for this year is to do six weeks on and one week off. We will also be taking extra time off in December. This will have us finishing up our school year on May 16, 2014. Emily is in 5th grade this year. For her core curriculum we are using Trail Guide to Learning ~ Paths of Settlement. We used Trail Guides to Learning Paths of Exploration last year and loved it so much that we are continuing on with the series. No changes here for us this year. We are continuing on with Teaching Textbooks 5. Emily’s core curriculum includes everything, but math. We decided Emily needed a little extra help with spelling and grammar. For spelling she is using Sequential Spelling 1. For grammar we are using Easy Grammar 5 and Daily Grams. For Aiden this year I decided I needed to simplify and buy a curriculum that had it ALL laid out for me. We LOVE, love to read and our lessons have always been around books we are reading, so we decided to use Sonlight Core A with Readers. This is another change for Aiden this year. We are switching from Math-U-See to Singapore Primary Mathematics and Life of Fred. We are using the Language Arts program that comes with Sonlight Core A and adding Explode the Code 1, 2, and 3 and Getty-Dubay Handwriting 1. This is another change, as we will be doing science everyday. We are using Sonlight’s Science A. Linking up with iHomeschool Network “Not-Back-to-School Blog Hop. I am very excited about our newly painted and decorated schoolroom. It had been over 8 years since we painted this room and since we spend a large portion of our day in here doing school, crafting and playing it was time to spiffy up the space. The big inspiration for my room was my friend Jolanthe of Homeschool Creations. I absolutely love her schoolroom. I agonized over the color and our walls looked like this for a while. There was a big mix up with the paint and they store had a hard time matching the color sample. I have to put a plug in for Lowe’s here, because the person who helped me seriously spent 45 minutes trying to get the color exactly right. After mixing 3 different gallons of paint I told him not to worry about it, that it was close enough. He offered me the off color gallons for a discount and I ended up getting 3 galloons of paint for $15.00. SCORE! We took it home and mixed up the color in a big paint bucket and I loved the end result. I was very lucky to find our Ikea Expedit Shelving Unit on Craigslist. It holds the majority of our books, reference books, some toys and things I want the kids to use on a regular basis, such as the microscope and Draw Write Now books. We already had the Ikea Trofast System, which are using as a table in front of our futon. It holds paper, play doh, stamp pads, stamps, miscellaneous crafting supplies, and our extra school supplies (glue sticks, tape, etc.). Our one big purchase was this futon, which we LOVE! Our schoolroom was lacking a comfortable place to snuggle and read together. The lovely owl pillow came from Etsy. The quilt draped over the side was made by my grandmother. Anther comfy place for the kids to plop down and read. The beanbag chair came from Walmart and the curtains from here (make sure and check online for coupon codes). We each have a desk. My desk has a magnetic white board on the back with our magnetic letters and numbers. On top of the bookcase are various globes and a human body model. The bookcase behind my desk contains all of the kids curriculum for the year and things that I use on a regular basis. More on our curriculum choices this week. Emily’s desk, Trofast storage system, and rail above her desk all came from Ikea. I ordered online since I figured the gas and all the extra things I would be sure to find would cost as much, if not more than the shipping. Aiden’s desk is the same with things we use on a daily basis close by (calendar and world map). The table is used for craft projects and when we are all working together. I painted our existing table white and the chairs red. Just an FYI for you folks, do not spray paint chairs red while wearing flip flops. My feet still looked sunburned after 3 weeks. We started school last week and so far the updated space has been perfect for our needs. Has it really been 18 months since I blogged? Sounds right according to my calculations. So, the tough question is ~ do I really want to start blogging again and what stopped me from blogging in the first place? If your curious, please feel free to read on. I’m going to lay it all out there and be completely truthful. Our family has been through many ups and downs the past 4 years. We dealt with the death of my dad, the death of my husband’s mom, a job loss, and marriage problems. I didn’t even realize that certain things were bothering me or causing strains in our home. Ok, I knew there were problems, but I chose to ignore them. I know that sometimes as a homeschooler I put undo pressure on myself and I feel like I am the only homeschool mom struggling with marriage problems, etc. Well, I am a homeschool mom and I struggled with marriage problems and I realize that I am not alone and most importantly God doesn’t want me or anyone else to struggle by ourselves. Things are getting better and the past year has been full of growth and healing for our entire family. God's grace and guidance have brought changes in our hearts and our household, specifically in our marriage. God showed me he can repair a marriage. Marriage is WORK people, hard work and I lost sight of the things that were priorities in my life for a while. Yes, I promise I will open up about this at another time. Another reason for my absence was feeling inadequate and that everyone’s ideas were better than mine. Please feel free to laugh here. Anyone who blogs can tell you that you are just seeing snippets into a bloggers daily life and the pictures and words written usually catch the best and most memorable moments. I know this but, I was still feeling like a less than stellar homeschool mom. Lastly, I chose to let blogging take a lot of my time (once again priorities, people) and didn’t plan a specified time for blogging. So, has anything changed? Yep, ME. I’m happier being just little ole’ me. I’m more confident in my homeschooling abilities and that God will provide ALL that I need to homeschool my kids. We have also made some changes, for the better, to how we homeschool. There has been less crafting and more actual school work going on in our household. *GASP! * We still craft, because I am a craft loving momma and it makes me happy, happy, happy, However, I don’t plan a craft for every book we read or to go along with every subject we are studying. The biggest and most beneficial change is that both kids are using more of a “boxed” curriculum with lesson plans, which has saved my sanity (more on this when I post about our curriculum for the year). This frees me up to add some fun things. This was a week filled with a few wonderful distractions. We watched our neighbors little girl one day and daddy, who has been working LOTS of overtime, was home most of the week. The kids thought they should have the entire week off since daddy was home ~ mommy disagreed! We did manager to get in some school during the week. This week we had fun reading The Snowy Day and using Homeschool Creations The Snowy Day Literature Pack and 1+1+1=1’s Raising Rock Stars Preschool Letter S curriculum as our main sources for learning fun. Aiden who usually loves cutting, had a TOTAL meltdown because he was trying to cut a wavy line and he couldn’t keep his scissors on the black line. I ended up telling him to stop and not worry about it. The same kid, later in the week was cutting away, making snowflakes out of coffee filters. We filled our schoolroom windows with the pretty snowflakes. We all had fun playing with our snow play dough and making a snow family. Aiden who is still in robot mode, made a robot snowman. Aiden also had fun playing in the Snowy Day sensory tub he helped me put together. and Teach Me Kindergarten, which teaches addition, subtraction, spelling, and dolch sight words. We were very blessed to have just enough snow the end of the week for the kids to go sledding. To check out more Preschool Corner posts, head on over to Homeschool Creations. Such a lovely topic, isn’t it. Come on you have one too, don’t you? Our container of choice is a plastic bowl that came with a cover. Why I kept the cover, I don’t know but, I am glad I did. It seems when ever we have a bug floating through the house, I am out of all the required essentials ~ like ginger ale, popsicles, etc. The kids always seem to find my stash of said items and consume them. So I decided to stash the essentials in the “bucket” in a ziplock bag. I also like to keep ginger syrup in the fridge. We use it in teas and to make our own ginger ail. It is super easy to make! So far this works for me and I am prepared and ready should the kids get sick. What do you like to keep on hand for when you kids are sick? To go along with the book we are reading this week, Snowy Day, Aiden helped me put together a Snowy Day sensory tub. We poured the Insta-Snow into our container and I let Aiden add the water. As soon as you add the water you can see the snow puff up ~ seriously, it is so fun to watch! and some wooden houses. Aiden made it “snow” so the tops of the houses were covered. The he plowed the street and we talked about how high the snow was on the sides of the road. Aiden tried to make prints in the snow but you couldn’t see them so we grabbed some of our snow play dough and he made prints with his fingers. Aiden found Peter’s stick in the snow and helped Peter hit the tree with it. Peter and his friend then had a snowball fight (without the big kids). Aiden had fun retelling the story and playing in the tub. I will say that the plastic tablecloth or some kind of drop cloth on the floor is a MUST!! This stuff is messy. Another note ~ DO NOT put an air tight cover on the snow because it will mold. If the snow starts to dry out just add more water. 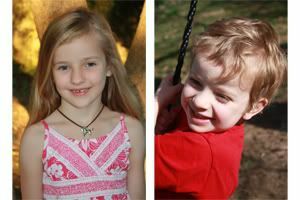 I am a mom to two wonderful children, my 10 year old daughter, Emily, and my son, Aiden, who is 6. This blog is about our family, homeschooling, and our journey growing closer to God. If you would like to link to my blog, feel free to copy the code below. Copyright 2010 Along the Way. Blog Design ~ Relevant Designs. Theme images by Ollustrator. Powered by Blogger.